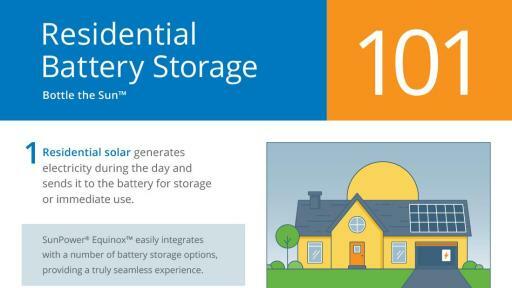 SAN JOSE, Calif., June 5, 2018 – According to an industry survey of nearly 600 solar installers across the United States, 30 percent of home solar shoppers in 2017 were also interested in battery storage. Researchers like IHS Markit expect that interest to grow, estimating that the installed base of U.S. residential battery energy storage will increase fourfold from 2018 to 2022. To meet current and future customer demand, SunPower (NASDAQ:SPWR) today announced that its all-in-one SunPower® Equinox™ home solar energy system is currently compatible with battery storage solutions from sonnen and Tesla through participating dealers. SunPower is also introducing an intuitive, quick, and easy-to-use solar-plus-storage calculator allowing interested customers to determine if solar and storage together is a fit for their lifestyle. 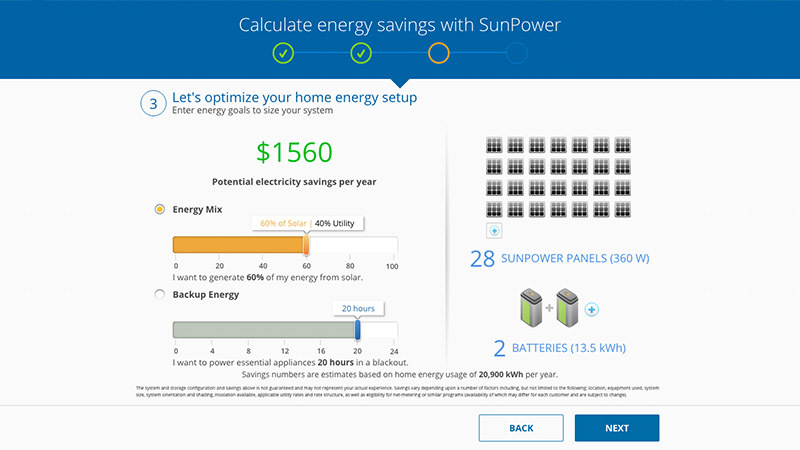 Found at www.sunpower.com/residentialstorage or on participating dealer websites, the calculator will suggest the number of solar panels and batteries required to reach a homeowner’s electric bill savings, energy mix, or backup power goals based on monthly electricity use. Homeowners can virtually add or remove solar panels and batteries to assess various system configurations, while savings estimates update in near real-time based on local utility rates. “As a leader in residential solar, SunPower is committed to simplifying solar for customers, whether it’s with innovative systems like SunPower Equinox, or new digital tools like the solar-and-storage calculator which, in an industry-first, allows customers to see how future or current electric vehicle charging will affect system size and savings,” Taffe continued. 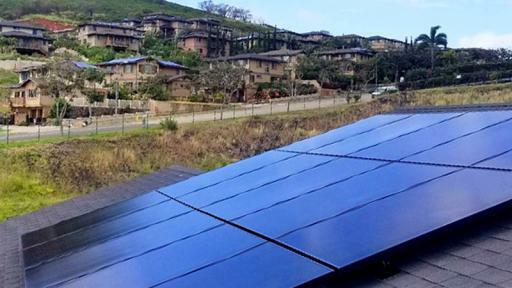 Compared to conventional solar, a SunPower Equinox system generates up to 60 percent more energy in the same space over 25 years using the world’s most efficient solar panels available. Since its launch in 2016, over 50,000 Equinox systems have been installed and commissioned with nearly 60 percent of those deployed within the last year – more than 75 per day. Recent upgrades include higher-efficiency 350 and 370-watt solar panels with smart microinverters that meet code requirements in all 50 states and allow for advanced grid interaction. About 500 Equinox solutions have been paired with storage to date. For more, visit the latest SunPower blog post, “Bottle the Sun™ With Home Solar-Plus-Storage,” or visit www.sunpower.com/residentialstorage. This press release contains “forward-looking statements” within the meaning of the Private Securities Litigation Reform Act of 1995, including, but not limited to, statements regarding projected product performance, cost savings, and energy output. These forward-looking statements are based on our current assumptions, expectations and beliefs and involve substantial risks and uncertainties that may cause results, performance or achievement to materially differ from those expressed or implied by these forward-looking statements. Factors that could cause or contribute to such differences include, but are not limited to: regulatory changes and the availability of economic incentives promoting use of solar energy, competition and market conditions in the solar and general energy industry, and fluctuations or declines in the performance of our solar panels and other products and solutions. A detailed discussion of these factors and other risks that affect our business is included in filings we make with the Securities and Exchange Commission (SEC) from time to time, including our most recent reports on Form 10-K and Form 10-Q, particularly under the heading “Risk Factors.” Copies of these filings are available online from the SEC or on the SEC Filings section of our Investor Relations website at investors.sunpower.com. All forward-looking statements in this press release are based on information currently available to us, and we assume no obligation to update these forward-looking statements in light of new information or future events.